In the last month, I've had two requests for advice on lesson planning via Twitter. In particular, how to plan and structure activities through a lesson which build towards specific lesson objectives and learning outcomes. 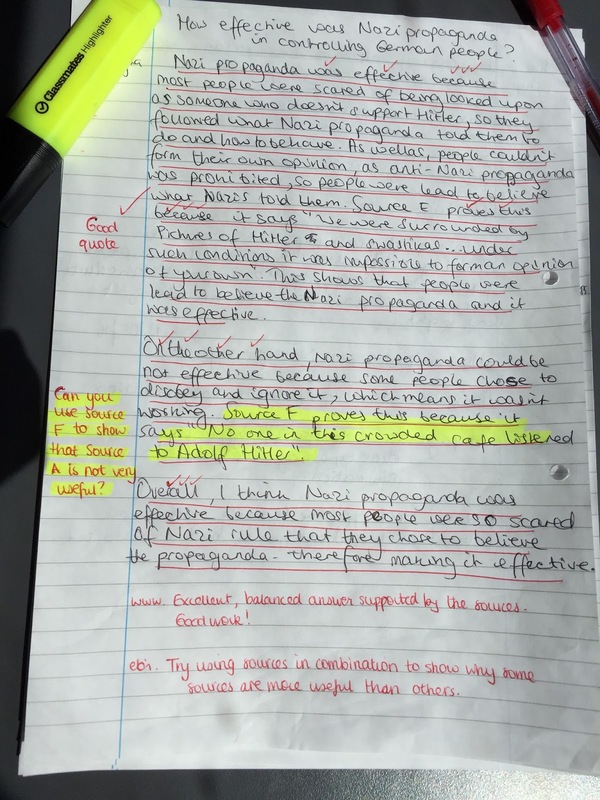 In response, here's a walk-through of a lesson I made for Year 9 this week, hopefully showing how this can be achieved in a lesson on the effectiveness of Nazi propaganda. 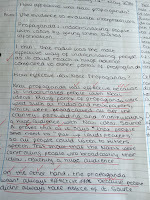 Lesson enquiry: How effective was Nazi propaganda? First up, the register teaser - something to get students thinking as soon as they walk in the door, allowing me time to set out my resources, take the register and deal with any latecomers. The register teaser is also a really good opportunity to link what we're doing in the lesson to students' own lives, thus establishing the relevance of today's learning. Next up, it's the aims, structured around Bloom's taxonomy. I've already decided that in terms of lesson time, I want to devote the most time to aim three, where students will be evaluating - that's where the higher-order thinking is going to come. 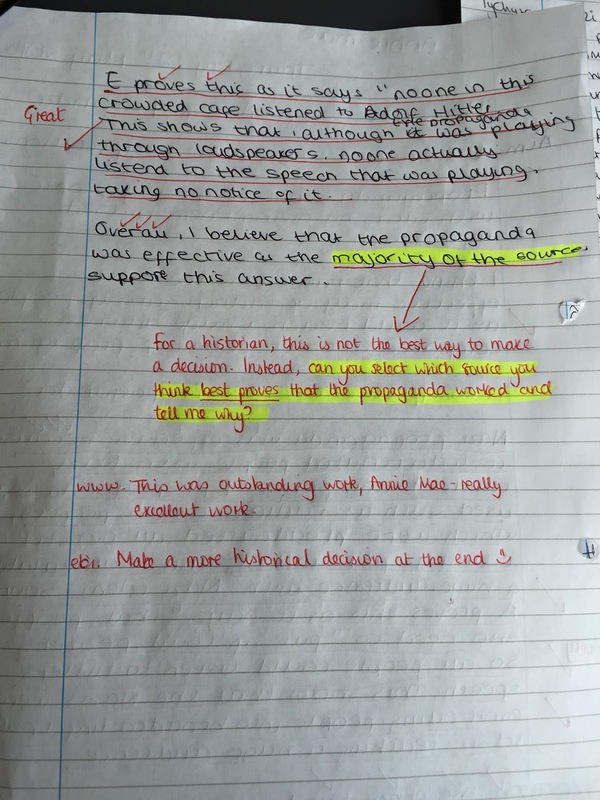 For my weaker students, setting out the﻿ aims in this way is a particularly helpful way of letting them know how the lesson is structured and where they are going. Who had a difficult item to sell? Who did a really good job of selling a difficult sales item? What was so good about their sales technique? When we're selling items, do we provide our customers with a balanced view of the product? Now it's hinge question time. Back comes the register teaser and I ask students whether or not they consider this to be propaganda. The key question here is 'how do you know?' and I'm looking for them to identify that this is one-sided information which is designed to promote an idea, not a product. 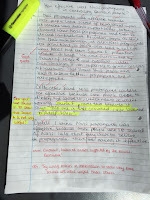 I deliberately target this question at my weaker students, to check for any misconceptions. Next up﻿, some teacher exposition, setting some context for today's lesson and aiming to enthuse students by bringing some life to the characters encountered in the lesson today. There's a palpable feeling of excitement in the room as I relay the story of Goebbels' and his family's downfall. 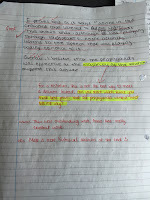 Such information is rarely included in textbooks and is a vital way in which you can add value to the lesson. At this point, it's time to work towards the second lesson objective. 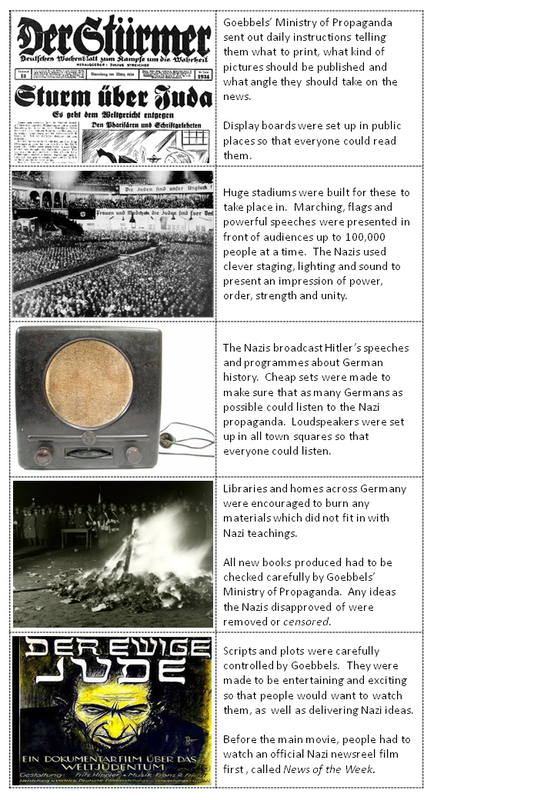 I want students to be able to explain different types of propaganda used by the Nazis, which is essential before we can go any further. However, I'm aware that this is not particularly high-level, so I don't want to devote too much lesson time to this. 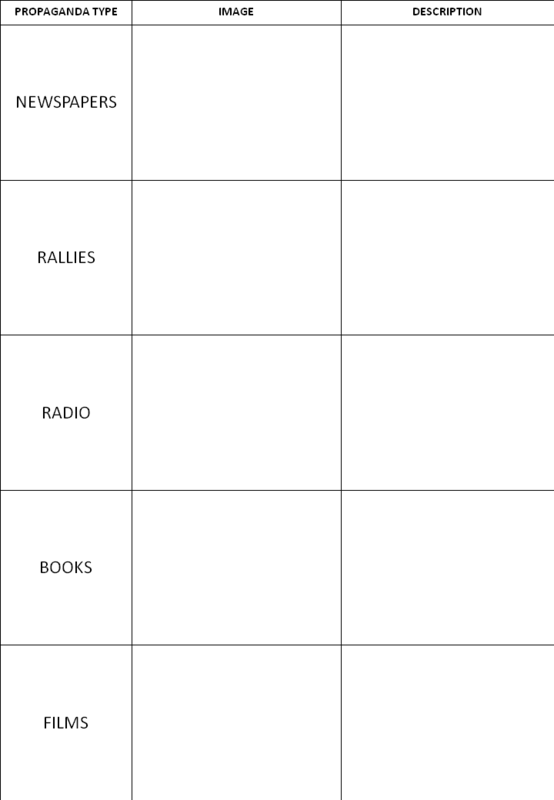 To achieve this, I have prepared cut-out cards for students to sort. 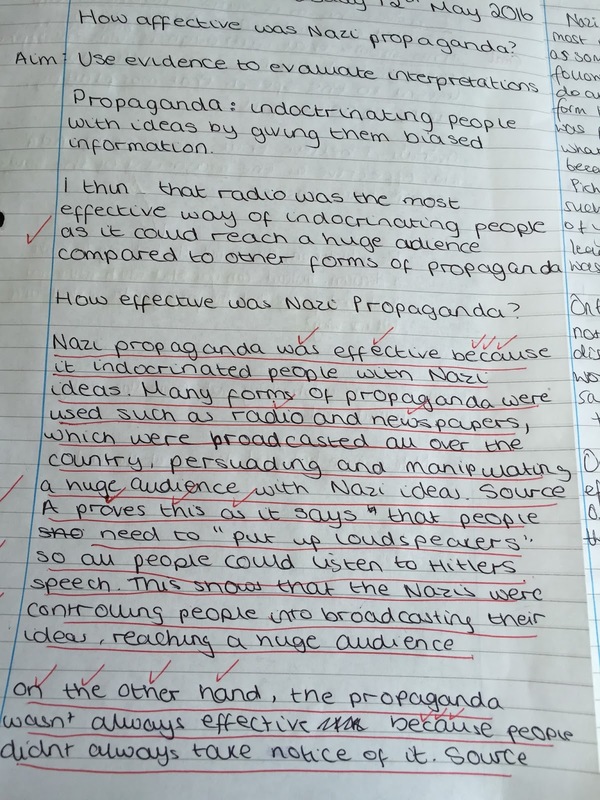 We follow this up with a discussion about which types of propaganda would have been more effective and students are encouraged to think about the techniques used by the Nazis to reach a wide audience. Here's a quick sweep of some of the responses which I got from the lesson.